Typeform is a cloud-based software that allows users to create dynamic surveys that can be used to make important business decisions. Designed for small businesses and large corporations, it takes care of creating, distributing, and analyzing survey results through a user-friendly platform. We compiled Typeform user reviews from around the web and determined that it has generally positive ratings. We also shared its available pricing options. Users who gave Typeform a positive review said that it is a fun and dynamic way of collecting data from respondents. They mentioned that the software allows them to customize surveys according to their branding and voice preferences and that this enables people to be more participative and give better answers. 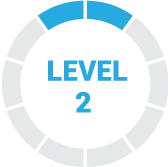 Users who gave Typeform a negative review said that there can be a huge learning curve at the start, particularly for first-time users of survey building software. They also mentioned that it can be pricey for those with budget constraints, while noting that it is a good investment. One user who gave Typeform a positive review on GetApp said that the software has made it easy for his company to enable respondents to give helpful answers. He added that he appreciates having the ability to customize the look and tone of the questions listed. One user who left a review of Typeform on Software Advice said that while the platform is easier to navigate compared to its competitors, it can be quite tricky to learn at first, especially for those who are using survey software for the first time. Typeform offers one free plan and two paid subscription plans: PRO ($30/month) and PRO+ (starts at $59+/month). Both paid subscriptions are billed annually. The main differences between the plans are the number of users, responses per month, fields per typeform, as well as personalization options. 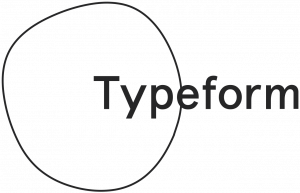 For enterprise clients who need more functionalities, you may contact Typeform’s customer support. Check out the list below of some of Typeform’s features. Typeforms are survey forms that collect information from respondents in an engaging and conversational way. Users can choose template-based typeforms or create their own from scratch. What are typeforms used for? There is an infinite number of ways typeforms are used. Some of the more popular applications for this tool include surveys, polls, quizzes and tests, registration forms, invitations, job application forms, questionnaires, online order forms, landing pages, interactive storytelling, waiting lists, and many more. Can typeforms be created in other languages? Yes. The main interface is in English and Spanish, but typeforms can be created in other languages, including French, Russian, Korean, Japanese, German, and more. Check out their website for the full list of languages that can be used. This video provides an overall background on what Typeform can do to help businesses enhance customer engagement and increase their sales. Not sure if Typeform is the right fit for you? Read our reviews of all top survey software providers or check out one of these three Typeform competitors. I can not think much about complaining about this software, maybe if I were creating thousands of forms, it would not be adequate, but I really enjoyed using the software. There is not much negative to say. It would be nice to have some of the payment features in the free version, but I think the free version works very well and I rarely need the payment features. In the workplace, it has served us well, has no recurring failures, making use of it is simple, it does not look obsolete and you do not have to pay a high price to use it. As we have said before, it has not shown us that it has any type of failure, we have found that everything works properly, there is nothing that we do not like. A single detail is that we did not know before we had her about her company, we knew the name but we had no idea about her, we would have liked to know before that they really try to do a good job. Both the general form manager and the user experience of forms are amazing. From design to interaction, it is truly exceptional in the market. Although it has many characteristics of the integration API, some block fields could be even more flexible and programmable, such as establishing a logical condition to verify if the user is an adult or even a child according to the date of birth. The organization and visualization of the data, as well as its integration with the custom API and software, was the best thing that could happen in many cases of use in my company and also in personal parallel projects. Custom design capability is also amazing. The built survey forms have a unique appearance that is easy to navigate and compatible with any device. Typerform is easy to use, the possibilities are endless and it’s fun for users. The calculate function does not really calculate in the sense of a real calculator. Customer service is not always active. I can not upload videos from my video service, I must upload them via YouTube. In our business we love typerform, we have created many surveys and tools to help our users. We use surveys to collect data continuously from our customers around the world. There are excellent characteristics to survey people in a more innovative and direct way, instead of monotonous and monotonous forms. People respond better to Typeforms according to the results of our survey. The integration of payment and the conditional fields make it ideal to sell complex products, as in our case medical consultations that benefit from the collection of data before the event. File management is a big problem. Every time I try to download a file that has been uploaded by a user, typeform starts with 10 to 20 parallel downloads. I have tried to report an error, but the font only accepts “suggestions”. I do not know what this means in terms of your commitment. Excellent user interface for online forms and for mobile devices, which has been shown to increase participation in surveys and sales because it is a good user experience. Reinvented web forms.